Have you been suffering from moles, pimples, signs of ageing, pigmentation or uneven skin lately? Trying out every possible over-the-counter product to get the skin you dream of? Still unable to find relief, even after months of care? Well, if you answered “yes” to the questions above, consider it is an indication that visiting a dermatologist in a Sussex could be beneficial. 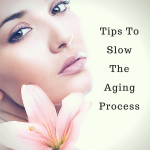 While self-treating is usually the first step, you need to understand the importance of seeking medical advice when this doesn’t work. All that your skin requires is not layers of makeup but proper treatment and care provided by a professional. By assessing the condition of your skin, a professional dermatologist in Sussex can suggest the best possible treatment. Below are a few situations when visiting a skin specialist is the most logical option! Though acne is common among teens and adults, breakouts can occur when you are in your 30s, 40s and 50s. No matter whether you are a teenager or an adult, dealing with acne can be very emotional and affect your day-to-day life. Approaching a specialist is recommended so you can closely evaluate your skin to determine the best possible treatment. 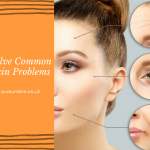 If your skin breaks out suddenly or you start experiencing stinging, flaking or other signs of irritation, it is often the over-the-counter products which are to blame. When you do not use the right product for your skin type, you end up doing more harm to your skin than good. Talking with a leading dermatologist is essential to understand the best skin care regimen for your skin type. If your skin is prone to changes, new spots and wart/lumps causing unevenness are likely to appear and disappear often. Though moles are not usually risky, if they change in shape, size or colour they will need to be assessed professionally. Moles need to be examined by a skilled dermatologist in Sussex since they can suggest if your mole requires removal or signals some other problems. Foreseeing what can cause irritation in your skin is difficult since the reason behind irritation could be anything. It may be the detergent that you use daily, a viral disease you have been suffering from or a skincare product that you apply on your body regularly. So, whether it’s rashes or skin irritation, it is always wise to consult a specialist to enjoy the best treatment. Do you notice any of these above signs? Time to visit a dermatologist!